The contemporary successor to Marsha Pravder Mirkin's acclaimed Women in Context, this eminently practical clinical resource and text provides insights and interventions that have emerged out of decades of work on the psychology of women. 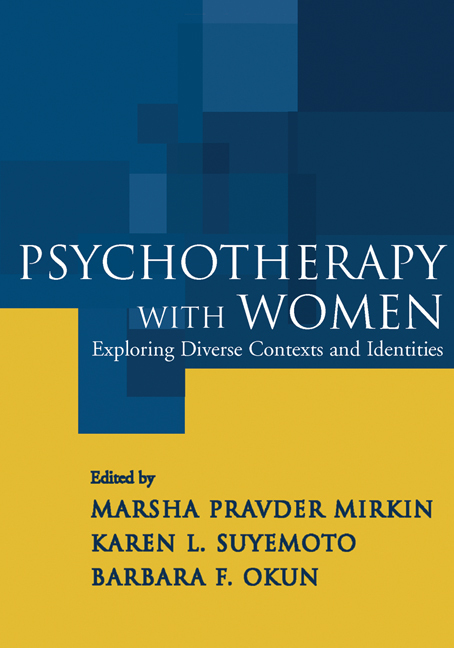 All-new chapters from leading practitioners guide therapists to understand how gender, race, ethnicity, sexual orientation, class, immigration status, religion, and other factors shape the experiences and identities of diverse women, and how to intervene effectively in the multiple contexts of clients' lives. Filled with vivid case material, the volume is uniquely structured to address family and relationship issues; work issues and career development; and health, spirituality, and self-care.